Scuba diving is such an amazing underwater experience that most scuba divers want to stay underwater for as long as possible. The amount of time people can spend underwater is directly related to how efficiently they use the air in their tanks. Use these tips to maximize your air supply and spend more time under the water. Panicking or become anxious underwater causes you to breathe faster and use more air. Do your best to stay calm underwater. Look at the beautiful scenery and listen to the sound of your own breathing. 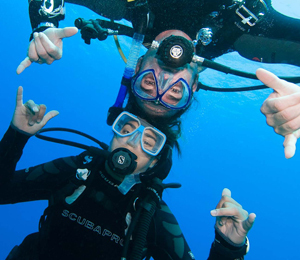 Arrange a signal you can use with your scuba diving partners if you need help. When your body is cold, it works hard to warm itself up. This uses additional oxygen. If the water you are scuba diving in is particularly cold, make sure that you scuba dive in a warm insulated suit. You may want to save your dives for a warm time of day if you are going in waters that are known to be especially chilly. Scuba diving is not a race. Instead of darting around trying to see and take pictures of everything, move through the water slowly. Use your legs to make large movements with your flippers and keep your arms near your sides. This will allow you to use your air more efficiently. If your weight belt is not positioned properly, it can increase your drag and cost you precious air supply. Try different positions to see which one will work the best. The right weight system positioned in the correct way will also allow you to adjust your buoyancy easily. Taking rapid breaths wastes your air supply needlessly. It should take you between five and seven seconds to inhale and between six and eight seconds to exhale. It may help to count at first, until the slower breaths come more naturally. You can practice this at home before you dive. Your buoyancy control device (BCD) is what allows you to float up, hover or sink slowly. 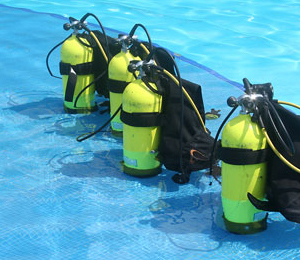 Constantly increasing and decreasing your buoyancy wastes a large amount air. Adjust your buoyancy in short bursts and take a few breaths in between each burst to see if you still need to make any adjustments. People with excellent breath control and those with respiratory and cardiovascular systems that are in excellent shape will be able to use their air supply more efficiently. Using air more efficiently means less of it is used and more time can be spent underwater. While these tips to save air may seem pretty simple, they can take some time to get used to. 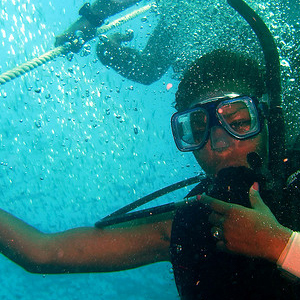 There are so many steps to remember when scuba diving that it can be easy to forget all the proper ways to do things. Practice makes perfect, however. 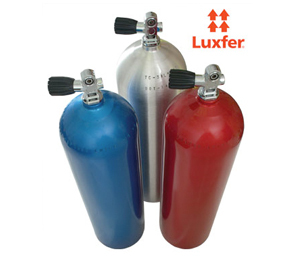 The more you scuba dive, the better you will be at using your air supply efficiently.